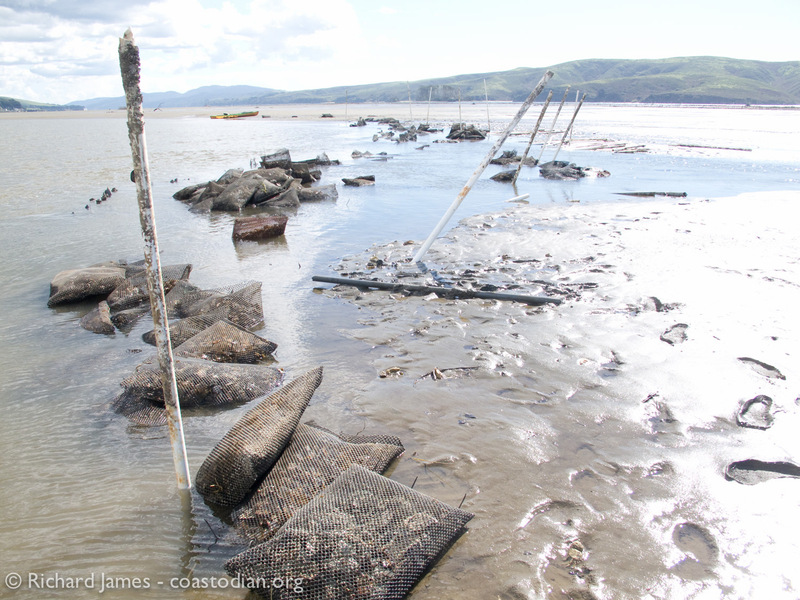 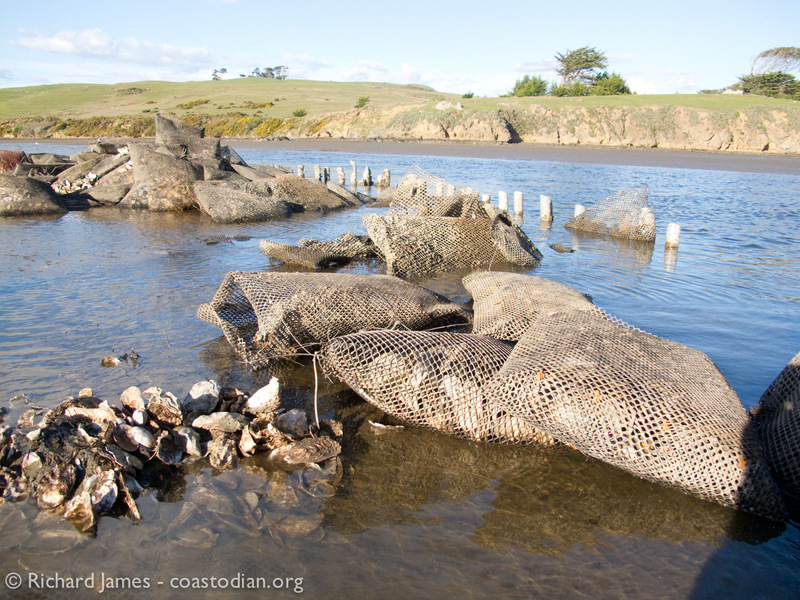 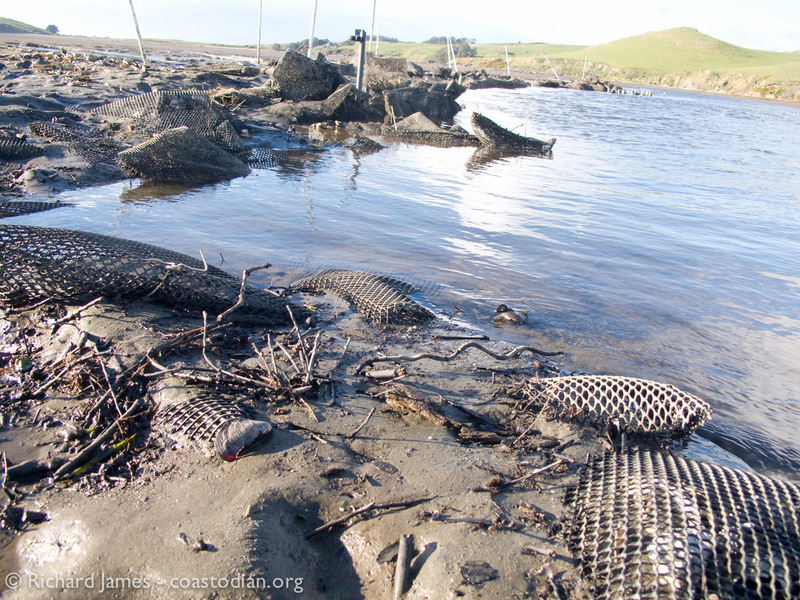 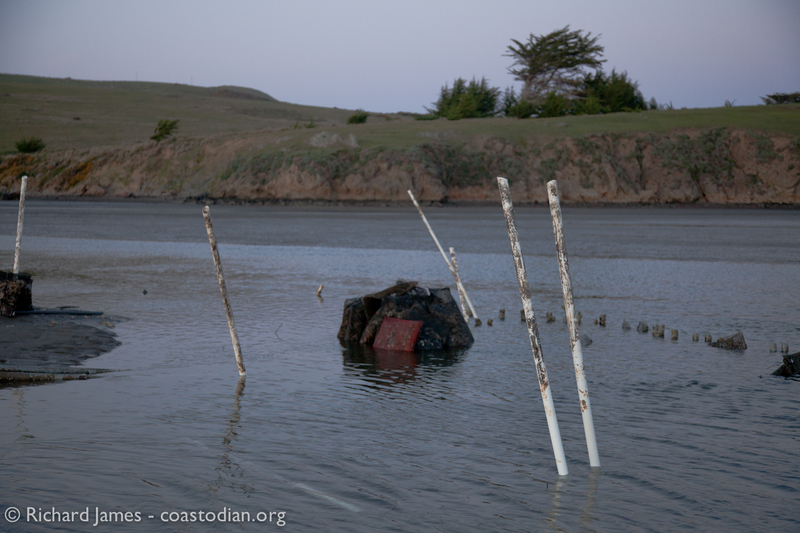 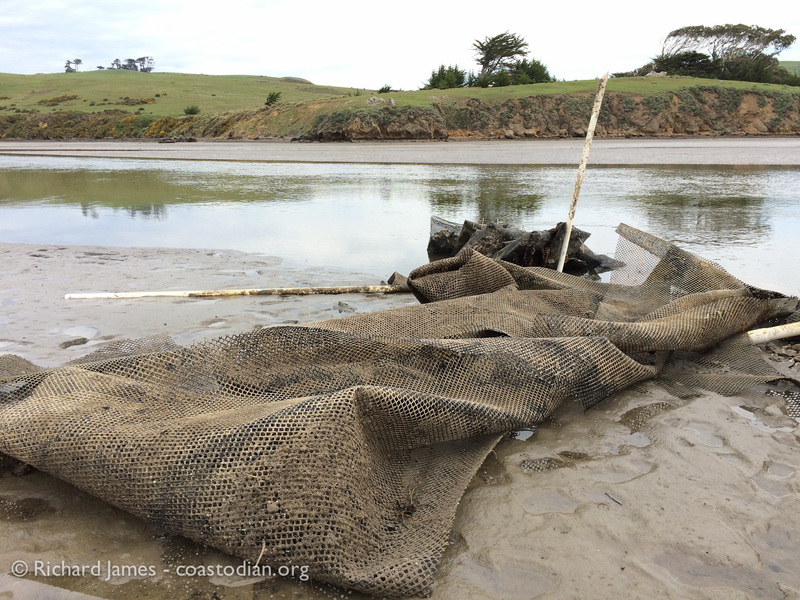 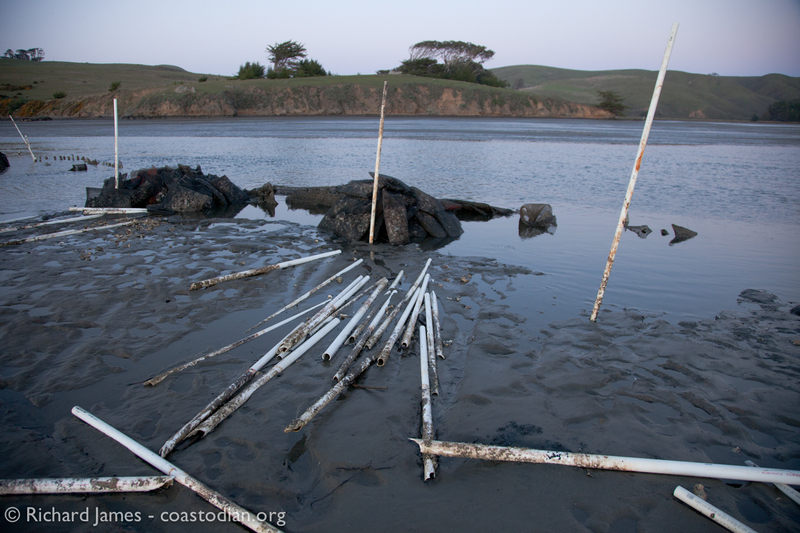 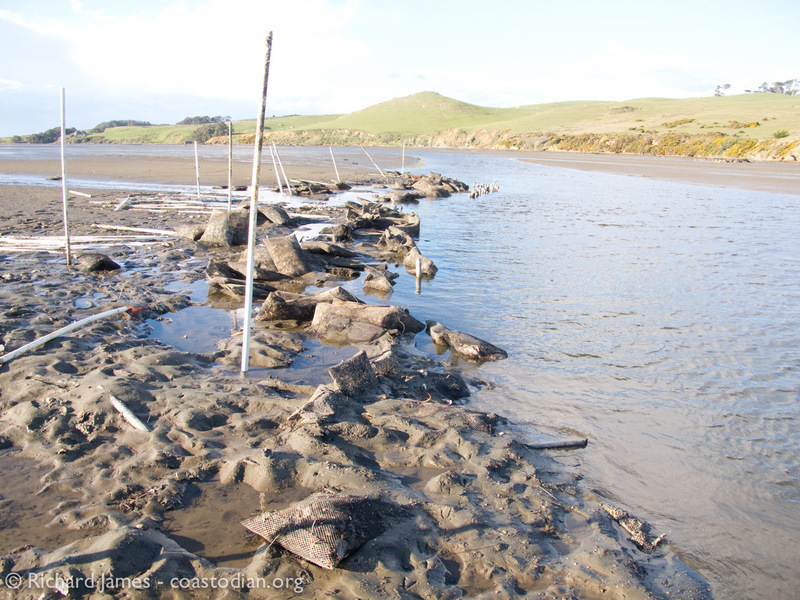 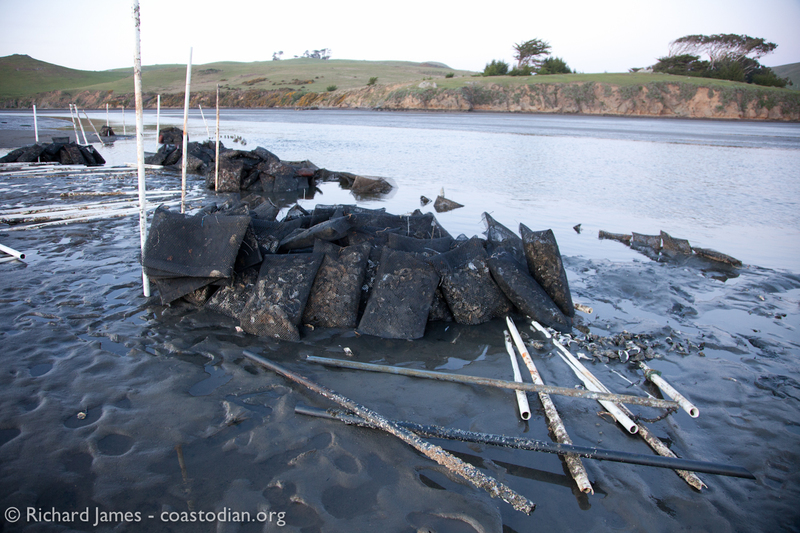 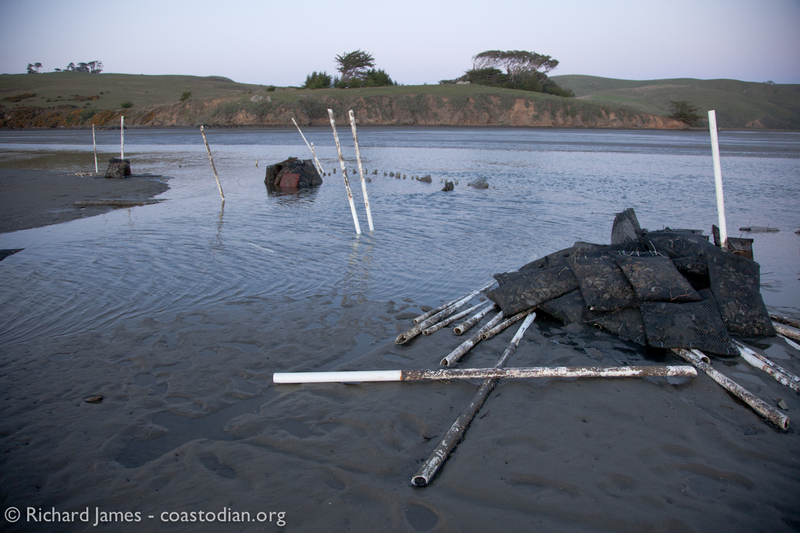 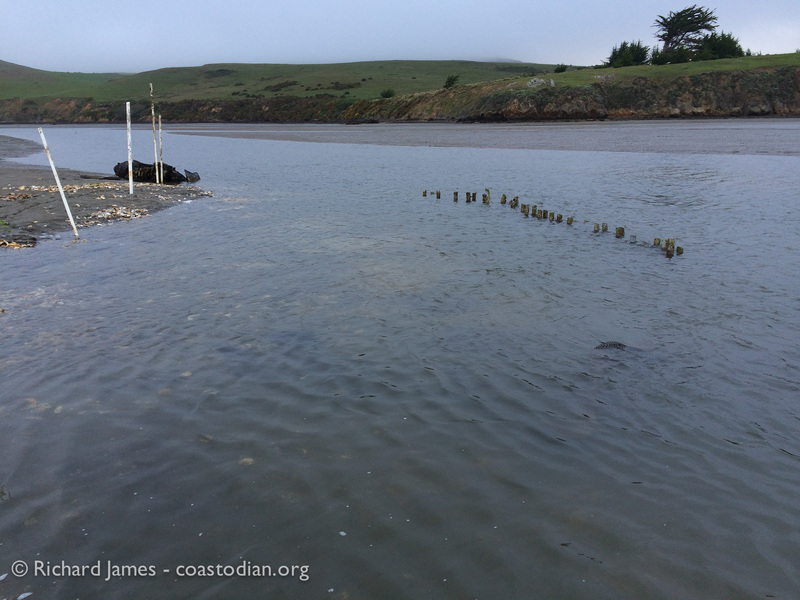 On 22 March I once again visited the oyster lease area at the mouth of Walker Creek in Tomales Bay. 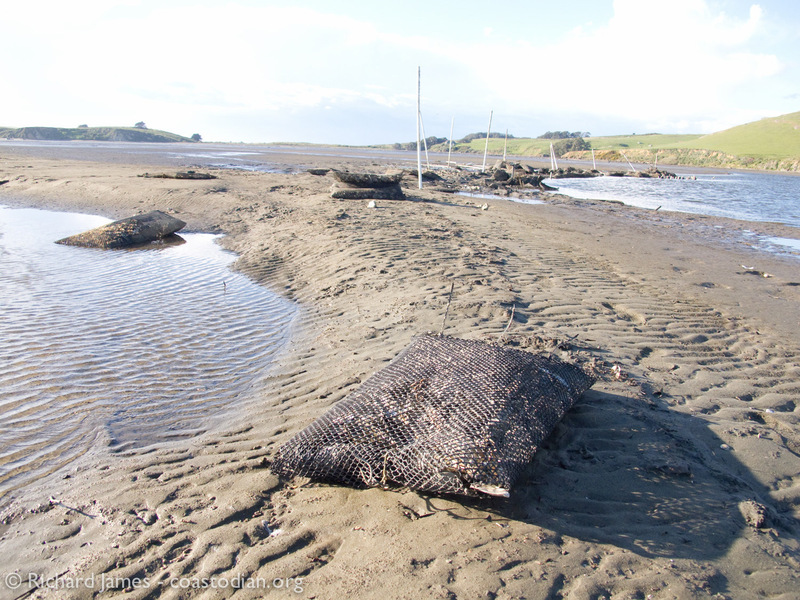 I am pleased to report that much work has taken place and the amount of debris is significantly less. 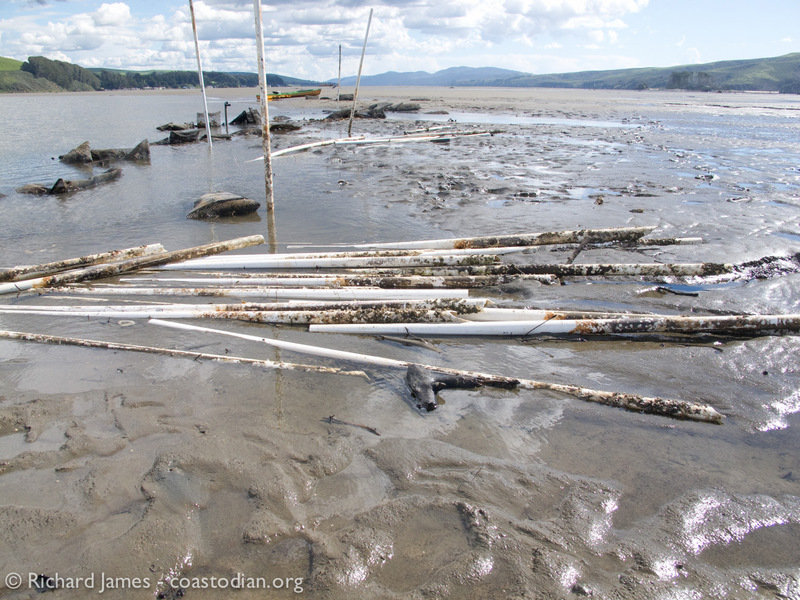 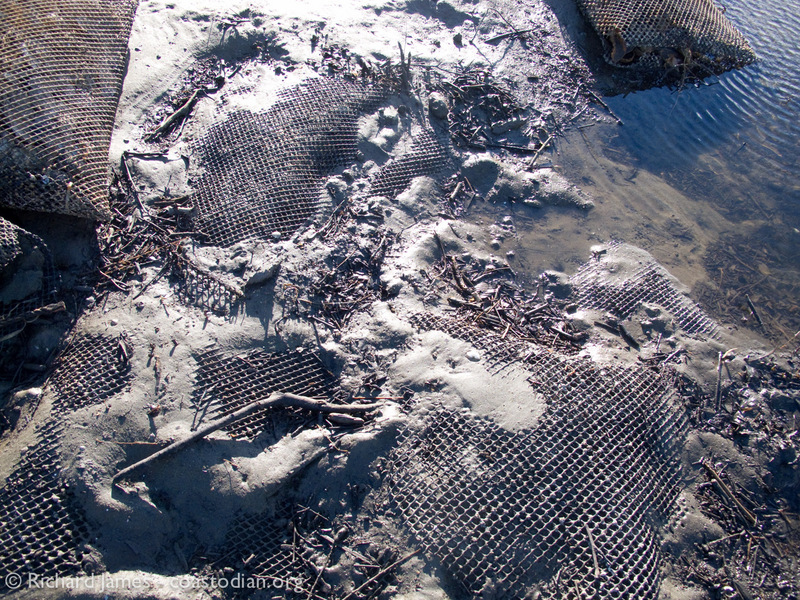 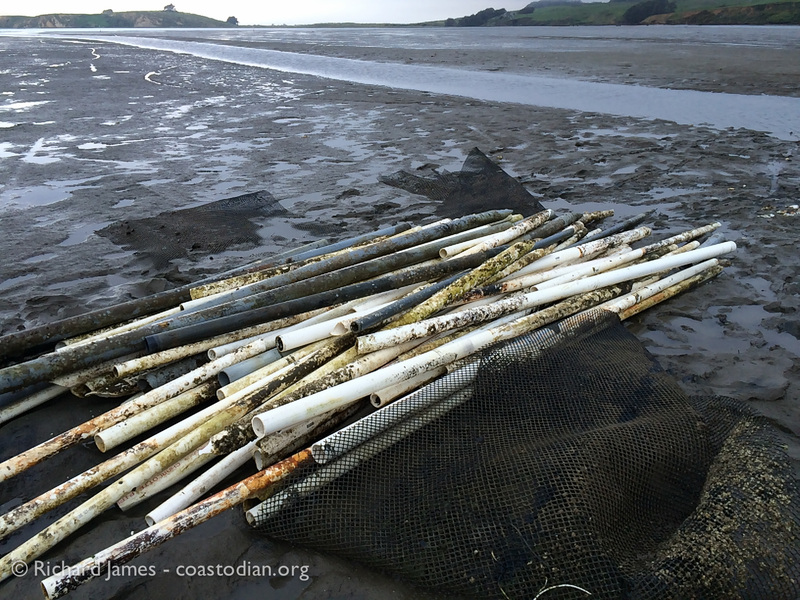 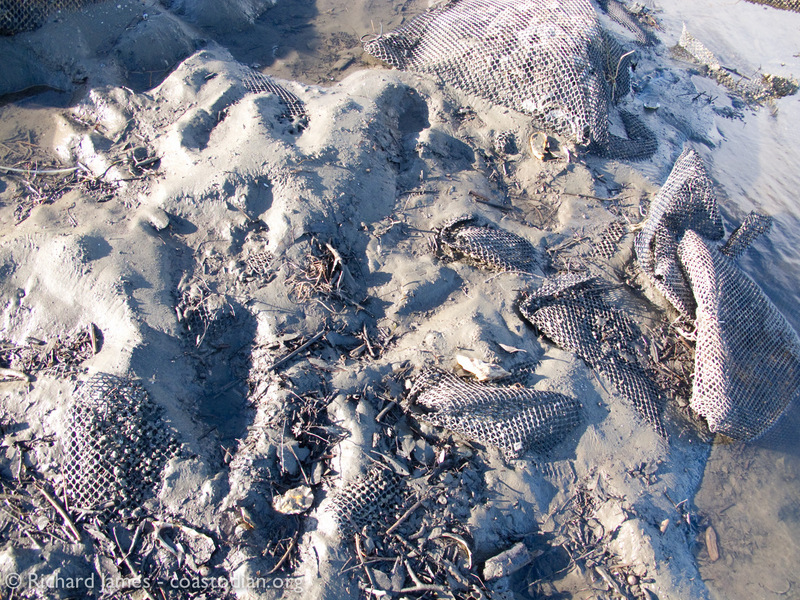 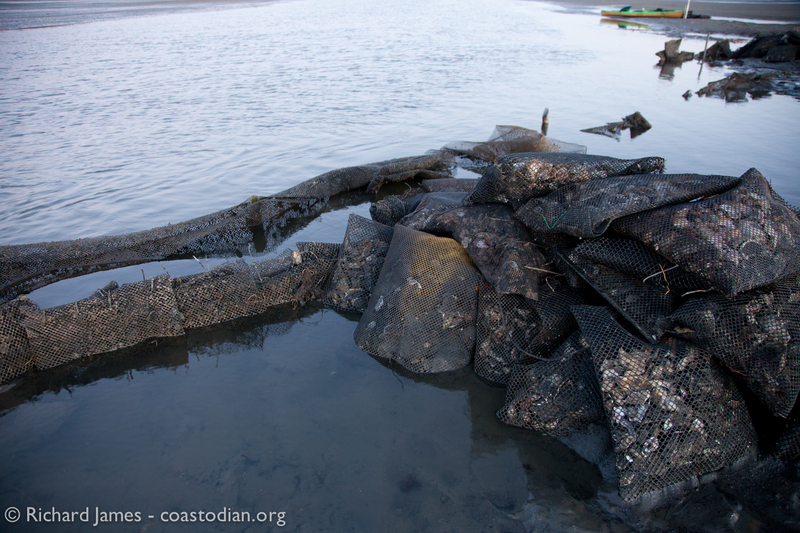 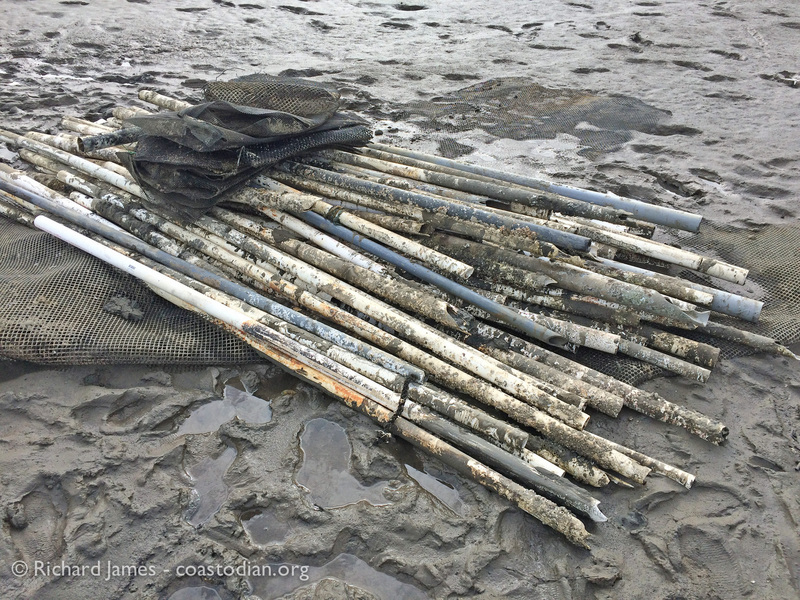 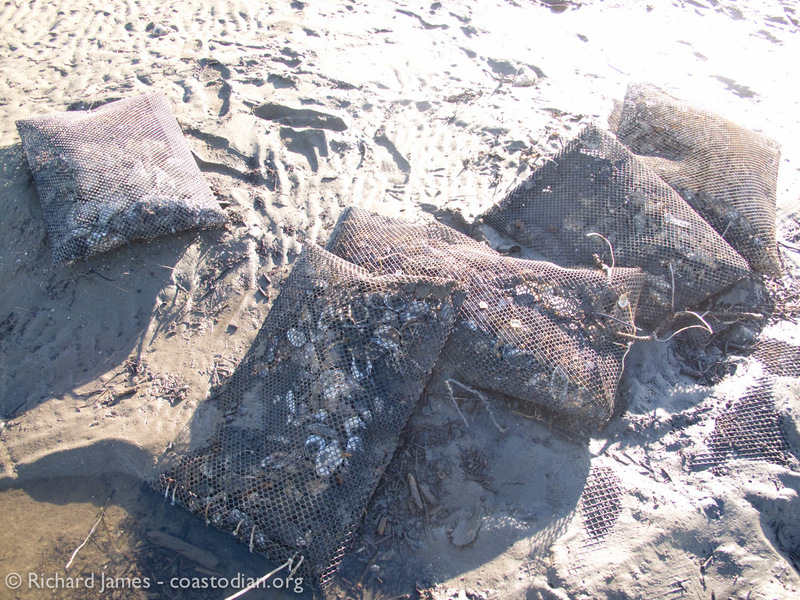 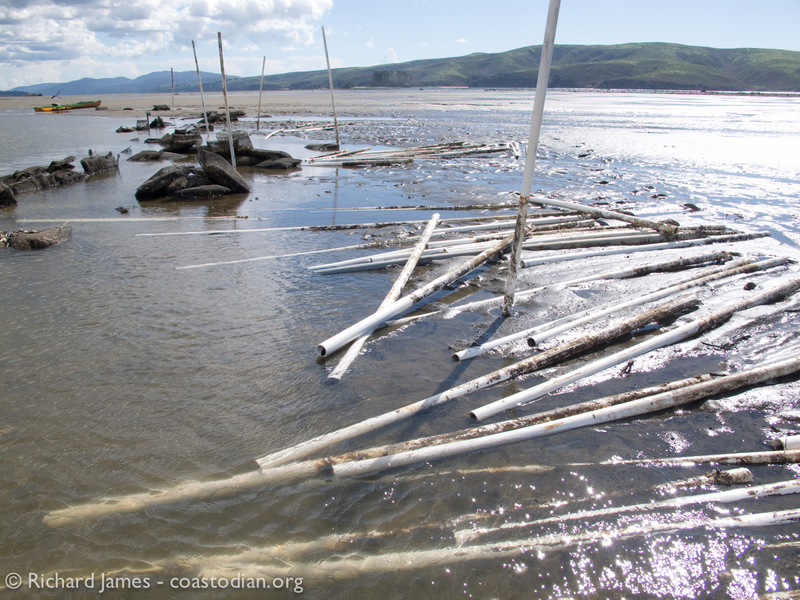 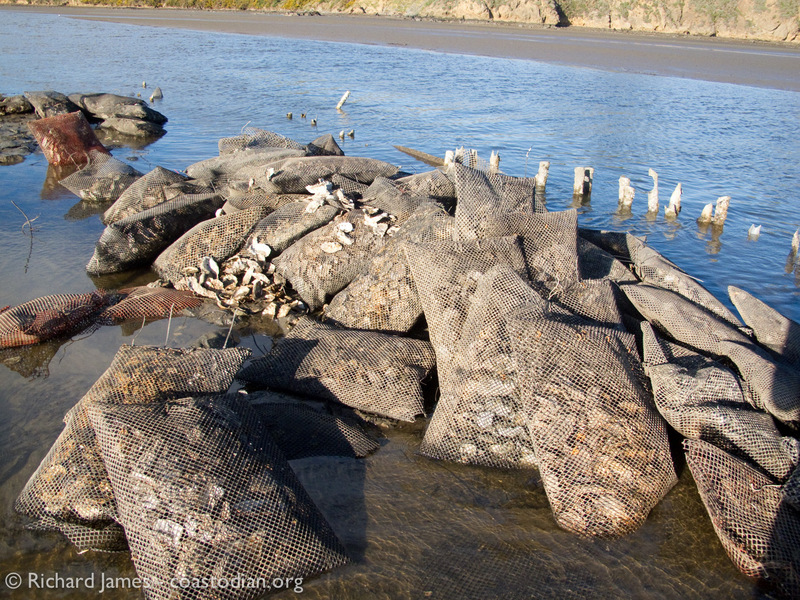 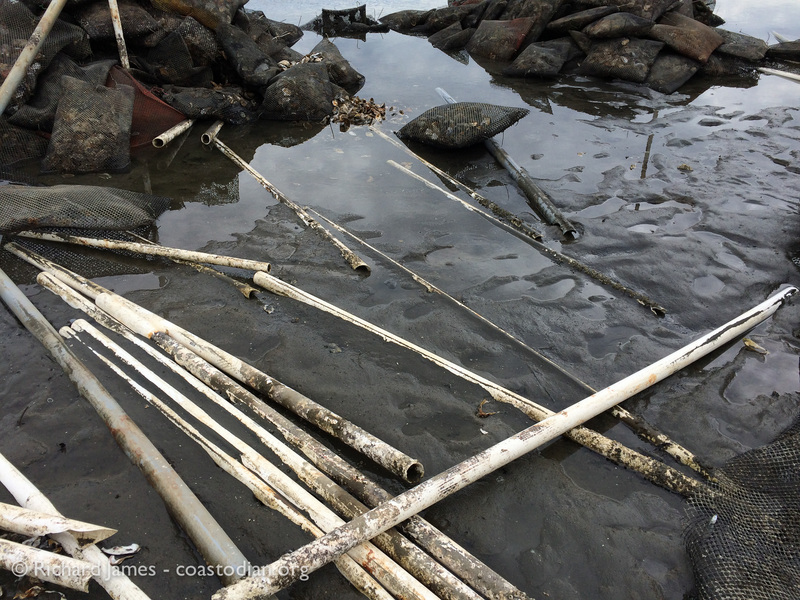 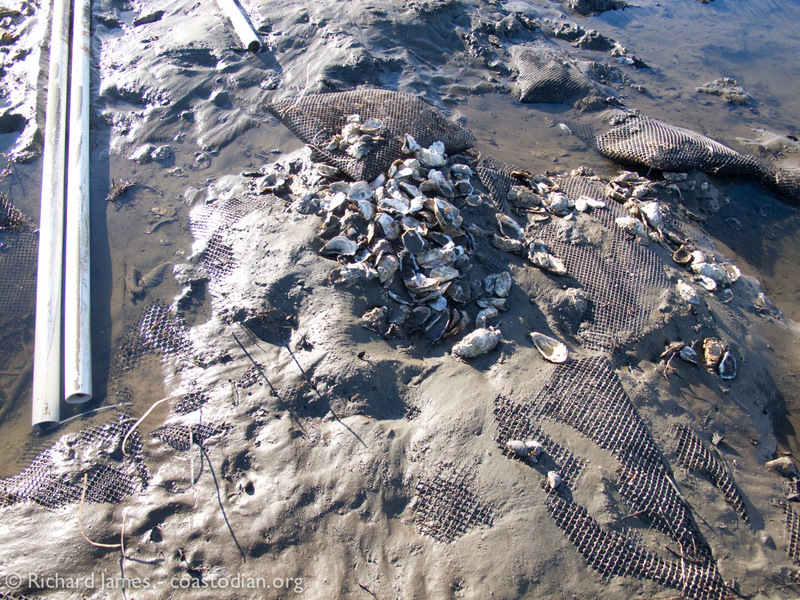 There are still many large diameter PVC pipes of unknown length in the channel, as well as shell-filled oyster bags to recover, though it seems these too will be removed. 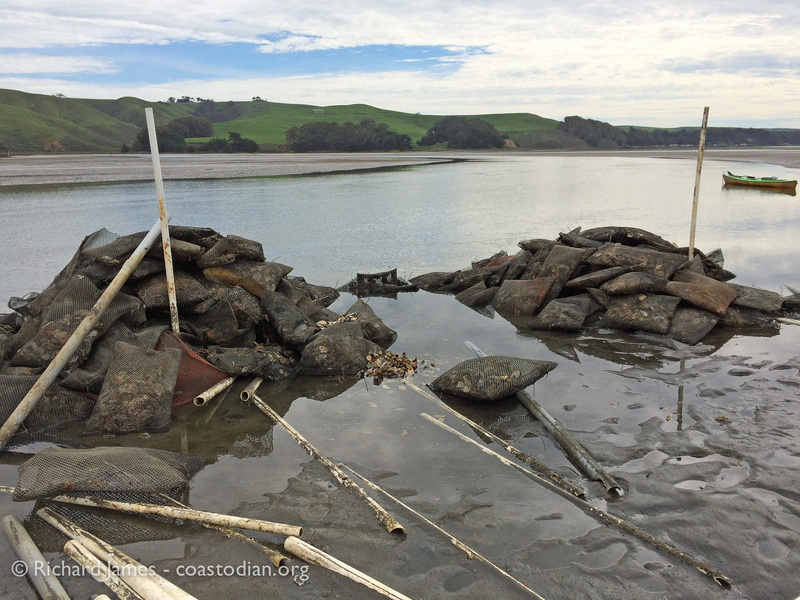 This short video will show you the status of this structure as of 22 March, 2015. 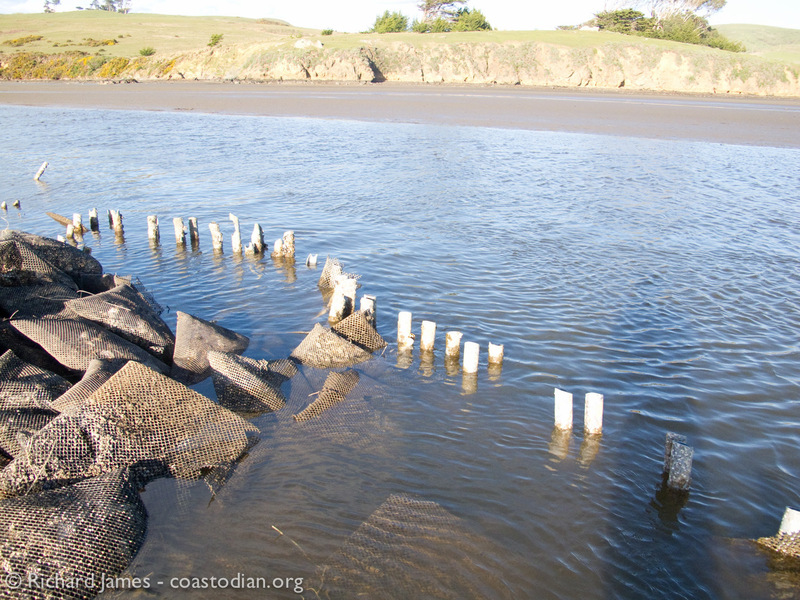 Here is a view of the structure as I am drifting down Walker Creek channel. 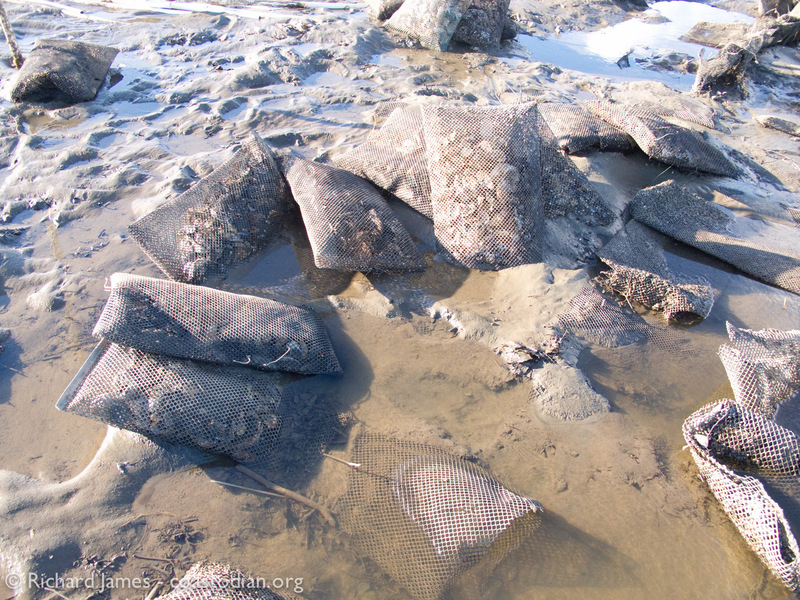 What follows are some stills of the area that is being returned to a natural state. 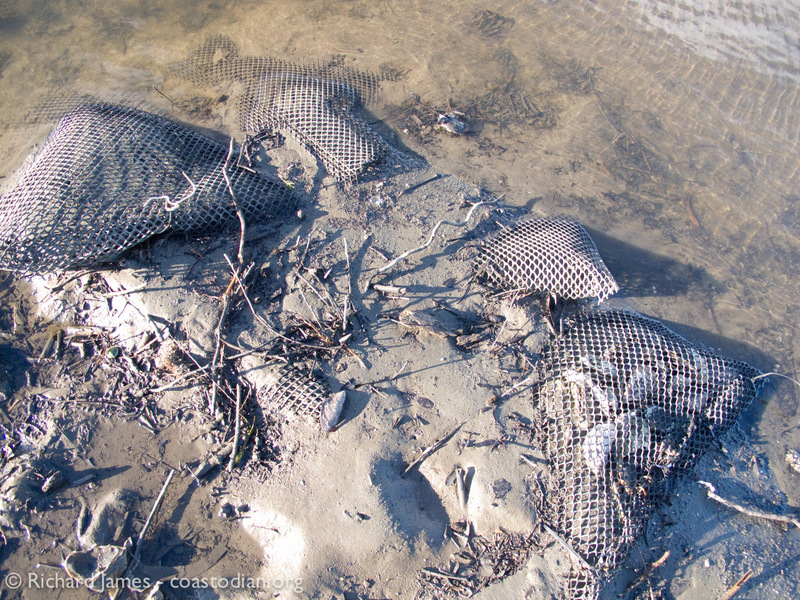 As always, click on an image to see it larger. 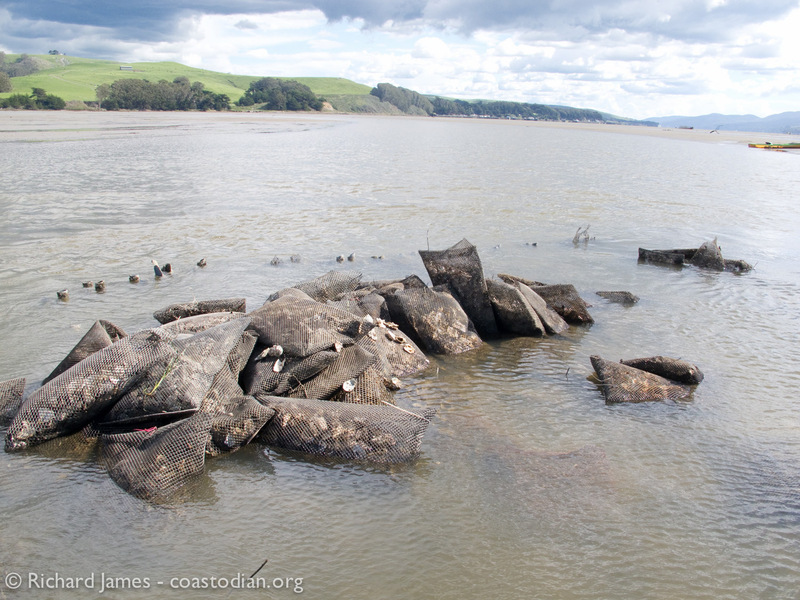 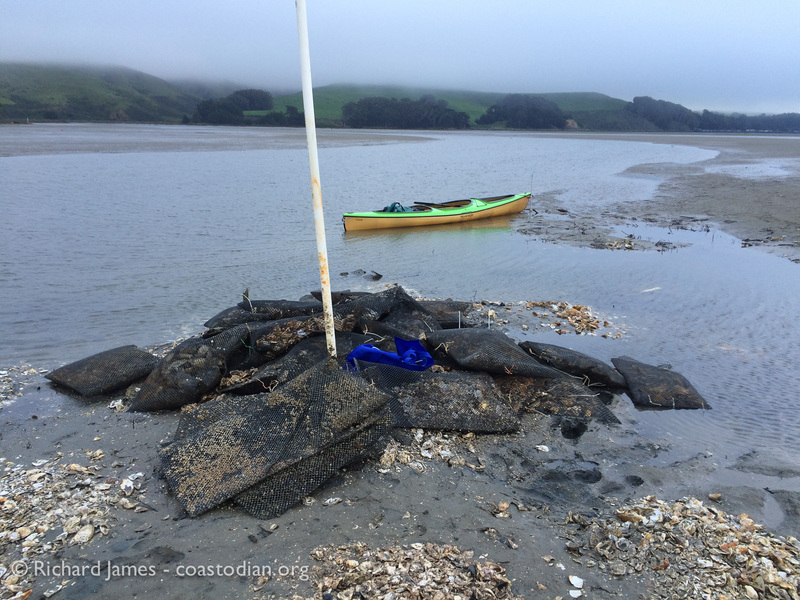 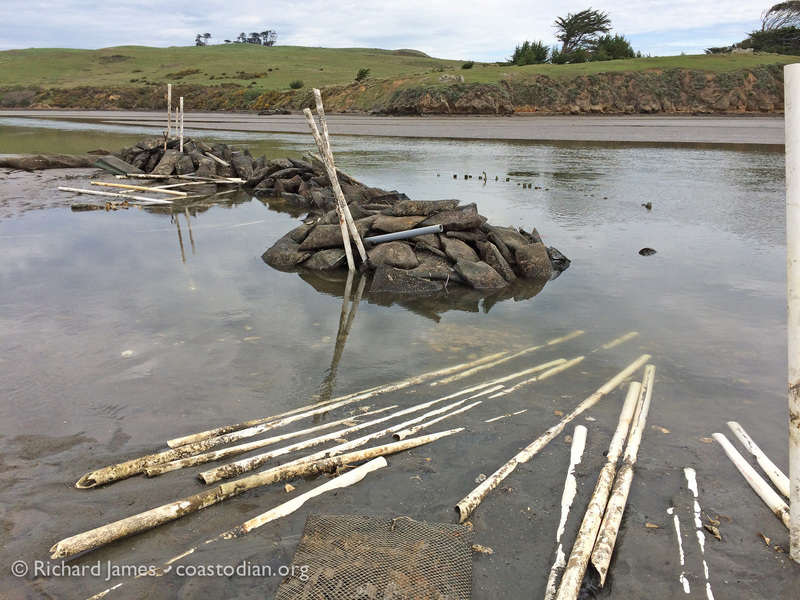 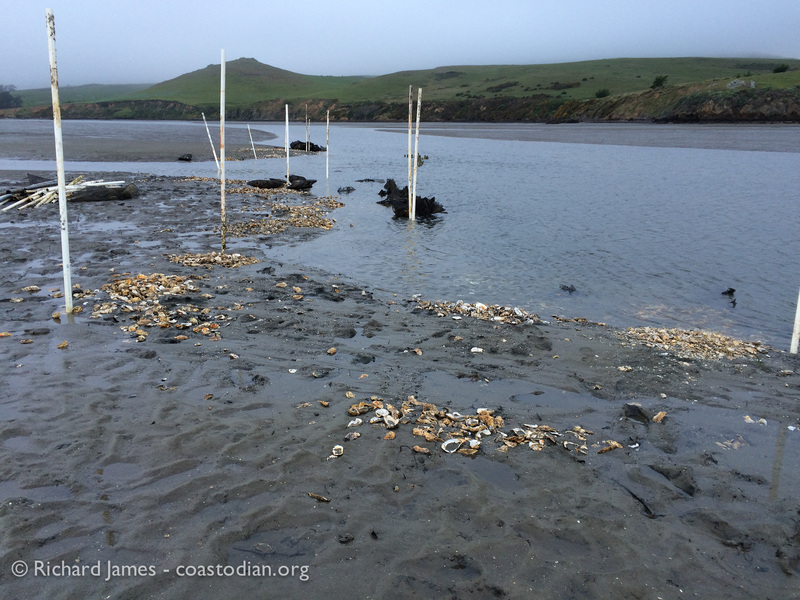 Yesterday (14 March) I once again visited the oyster lease area at the mouth of Walker Creek in Tomales Bay. 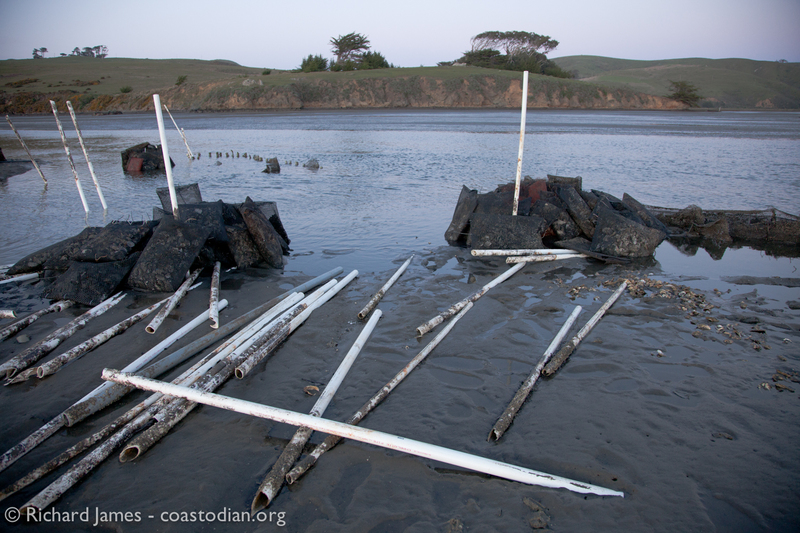 This short video will show you the status of this structure as of 14 March, 2015. 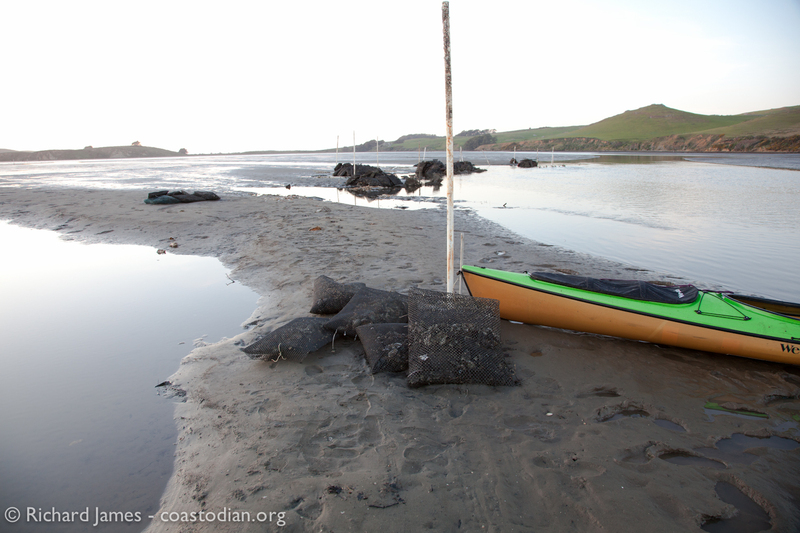 Here is another view from my boat as I drifted by it, Pierce Point Ranch is seen in the background along with Pierce Point.